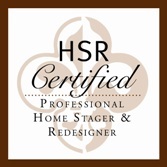 Each staging or redesign service begins with a consultation. Staging services include a home preparation plan to complete prior to the final service, recommended vendors and service providers (if needed), and a beautiful photo show of the staged home for your agents marketing. You’ll be educated and prepared for the day of staging or redesign – so you’ll know what to expect. For occupied homes, we’ll give you tips and show you how to make your home “show-ready” in a matter of minutes. Vacant Home Staging – Using all the right furnishings, art, rugs and décor we’ll create a design plan which optimizes the layout of your home, highlights the design, maximizes the lighting, and optimally showcases the home and it’s features. Potential buyers will feel invited into a home that they can see as their next home. Occupied Home Staging – If you are living in your home while it is on the market, we’ll help you maximize your homes potential with a combination of design, de-clutter, organization and staging. Working with what you already have, we’ll help you create a show ready home and give you tips and tricks on how to live in a staged home. DIY Comprehensive Report – If you need advice when it comes to preparing your home for sale but would rather Do-It-Yourself this is the service for you. We’ll view your home discussing an action plan along the way. We’ll also send you a very comprehensive report for you to follow room-by-room so you can do it on your own time. Our report will include items such as room layouts, visual ideas for fixtures, finishes, art, pillows, decor, etc. Redesign Services – Love your furnishings and decor but having problems figuring out how to arrange them in your current living space? We can help you love the way it looks! Call us today to learn more about our services and pricing tailored to your needs!